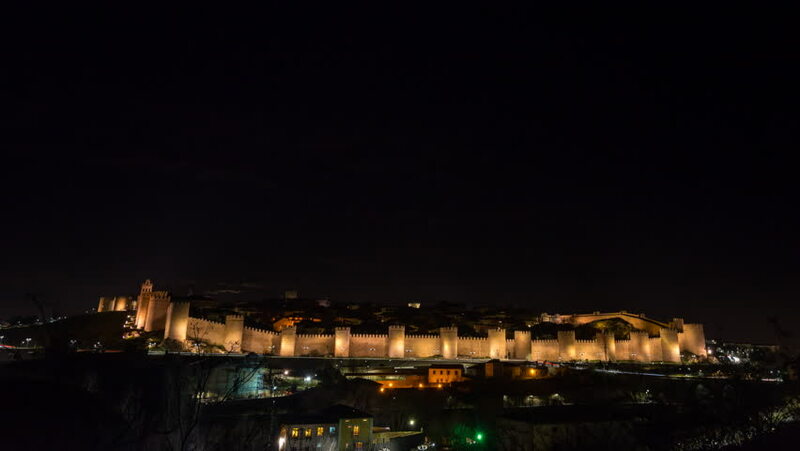 Sunset Timelapse from Avila, the Spanish medieval city surrounding of walls. The walled city of Ávila is a UNESCO World Heritage Site. This sunset sees the moon coming out. 4k00:14Sunrise with colorful sky in the city. Night to day 4k timelapse.